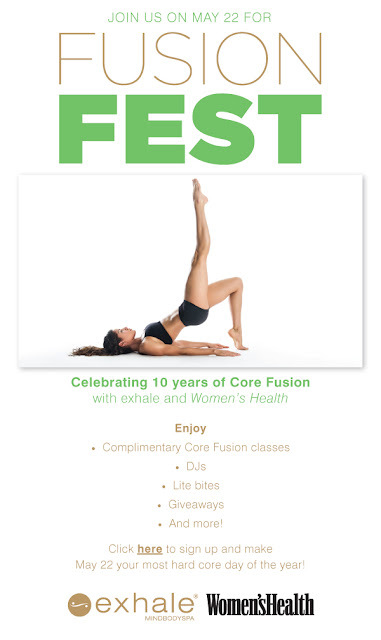 May 22- Exhale Fusion Fest. Book Now! Lots of classes have already booked up, but make sure to get on the waitlist and take advantage of the event's festivities!